Ladies why, why, why do we allows society to further destroy our people from within. 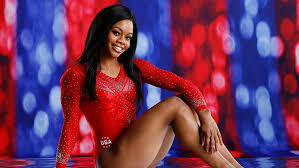 It was 4 years ago when Gabby gained her reputation as the first African American gymnast to win gold in 2 competitions. She cant seem to catch a break because just like in 2012 when social media erupted with hair bashing “her hair looks a mess”…. it’s happening again. This woman is 20 years old. She can’t even have a legal drink to soften this ridiculous foolishness. She was 16 the first time she dealt with twitter venom. 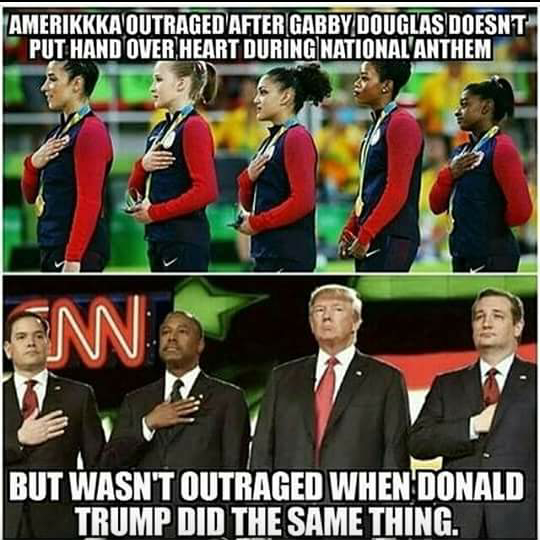 Only 2 days after winning her gold metal, she then is criticized for not placing her hand over her heart TO PLEDGE ALLEGIANCE TO THE U.S. Allegedly “she meant no disrespect”, she was taught to stand at attention anytime the anthem is played. We have got to do better. Why cant she be perfect enough for yo? I do not remember an up roar for anything the guy has said. Just like in most cases ladies you’re angry at the wrong guy. She is representing our coils, and thick locks. She is the melanin that we ask to see. “Love yourself, girl, or nobody will|Though you a woman I don’t know how you deal|With all the pressure to look impressive and go out in heels”.